Wow! 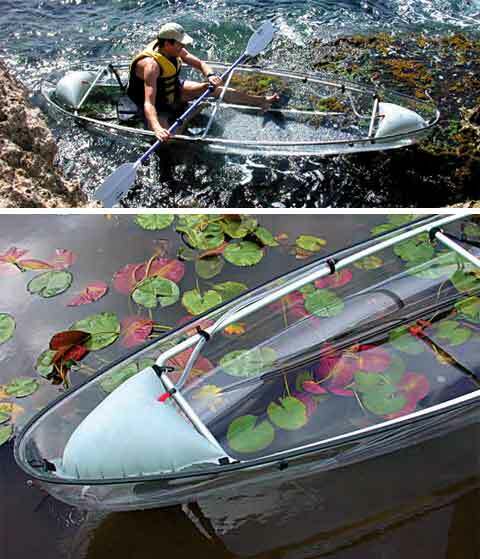 The possibility to own a glass bottom boat! 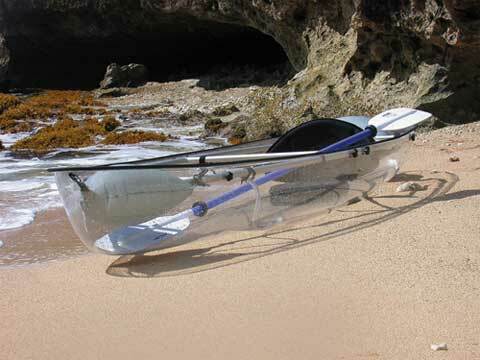 Well, not exactly glass but certainly transparent and not quite a boat but a very sleek kayak. 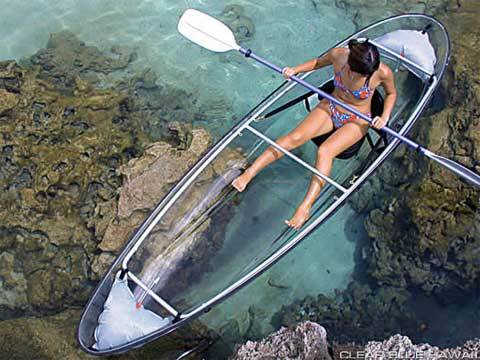 The Clear Blue Hawaii Molokini 2 is an all-transparent two-passenger kayak made out of polycarbonate which is the same durable material used in the production of bulletproof glass and fighter jet canopies. It comes equipped with an anodized aluminum internal frame system, dual flotation bladders and a three-quart water bailer. The Molokini’s hull is 3.4m long and a big 81cm wide, so it displaces a lot of water creating a huge window on the world below. One of the great features is the removable lightweight anodized aluminum frame system, which means the kayak is fully collapsible for easy transportation and storage. It assembles / disassembles just like a tent! 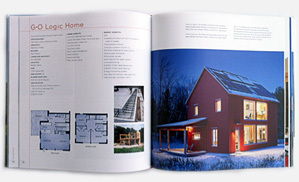 The overall design is superb, both modern and yet classically practical. The transparent hull has a very stylish beauty and also can yield views to depths of 75 ft plus. I can only imagine the fascinating sights to be seen in the blue waters of a coral reef and to be able to watch the multi colored fish without even having to wear a snorkel. The durable hull is extremely strong, both weather and impact resistant. Extensive tests have been carried out by crashing the kayak against rocky shorelines, dropping it from a 20ft height, hammer blows and ejection from a vehicle at 70mph. The material is almost indestructible. 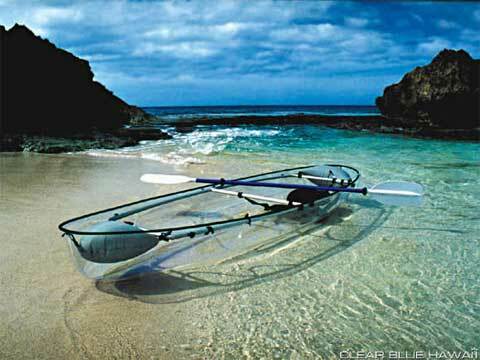 The kayak is manufactured by Clear Blue Hawaii and the company has a very apt slogan – “The difference is clear”.